I love my screen porch. It’s big with a beautiful wood floor and a brick floor. I have room for a dining table. I have room for a sofa and chairs. I have room for lots of stuff! BUT, because two of the walls are screened, every bit of dirt and pollen blows in and lands everywhere. So each spring I must do a BIG clean. First I have to remove everything and put it in the yard. 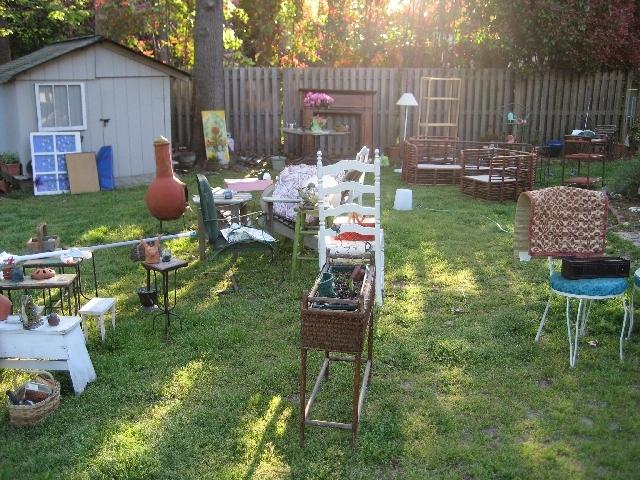 My backyard looks like a yard sale right now. Everything has to be washed before it can come back in. 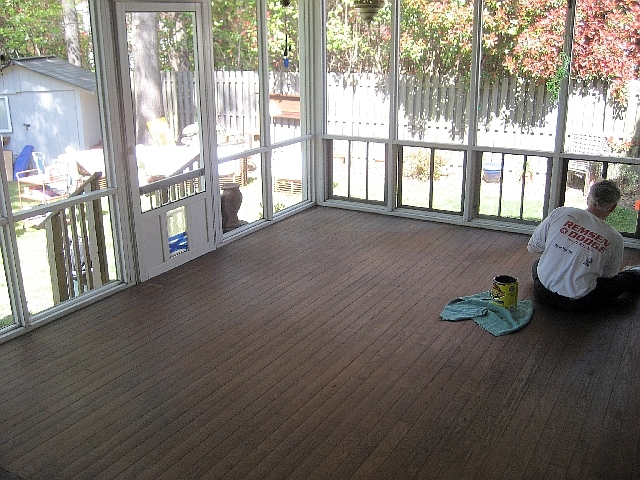 This year we have to reseal the wood floor. My husband is hard at work on that task. 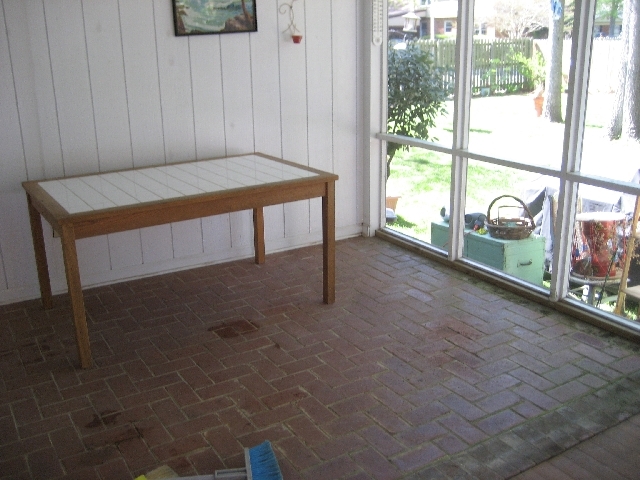 The brick floor has to be scrubbed too. And the walls. Yikes, it is a huge task. 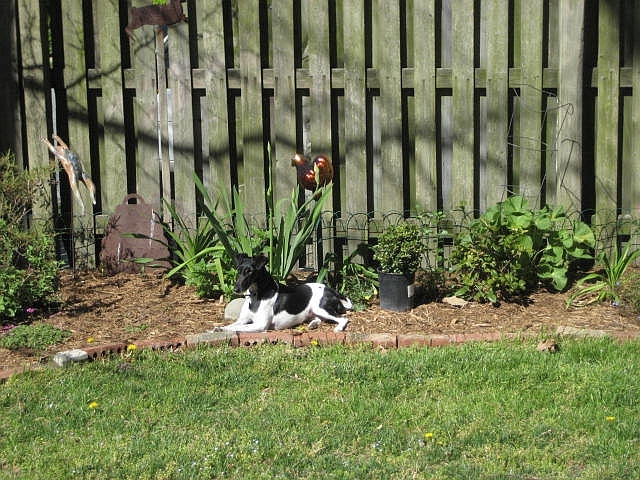 Meantime, Wendy just baths in the sunshine while I scrub away. Tomorrow I get to put the porch back together! Oh boy!